What better way to snuggle up through the last days of winter than to do it by cuddling up to a hearty meal? It’s easy to dine fine on South Australia’s best when you know where to find it. Winter says to us: fresh baked pastries, slow-cooked meats and beautiful seafood straight from the chilly seas. Well, we can make that happen easily with a spot of hunting and gathering across Eat Local SA’s retail venues in the city. Even in the depths of winter, the seaside is a wonderful place to be. Let the waves crash and roar out there, if we’re tucked up in the Brighton Jetty Bakery, it’s not going to bother us one bit. They’ve got a bit of a mission going on in this bakery. They don’t want bakery treats to be seen as junk food – and there’s no risk of that happening when the daily in-store baked trays of goodies are created with the likes of fresh free range eggs from the Cleland Gully Eggs, veal from their neighbours Cleland Veal, Laucke Mills flours from Strathalbyn, and a secret ingredient or two from The Hills Cider Company or Angove Family Winemakers in McLaren Vale. The team at Brighton Jetty Bakery bake all day and they delight in custom orders. Who knows what we could think up to keep the cold at bay? Be inspired by their pie of the month, which just might be Moroccan Lamb, Filet Mignon or even Chicken Parmy. A feeling of peace may well descend, even in the stormiest weather, after a sampling of The Angove Muscle Man Shiraz Pie. When it’s some of the best produce in the world, you want the world to know about it. South Australian fish and seafood are already internationally renowned, and Ferguson Australia have been leading the pack working with chefs to ensure their diners know where their meals are coming from. We think that makes the notion of catching our own via Ferguson Australia’s retail outlet in Hendon a pretty appealing idea (and a bit warmer than wetting a line ourselves during an Adelaide winter). This is where the chefs shop for fresh South Australian Southern Rock Lobster, King George whiting, South Australian garfish and a few other chef secrets, including Ferguson’s Lobster and Lemon Pressed Oil. Produce from other South Australian favourites feature prominently on the shelves here too, including Newman’s Horseradish, Beerenberg’s Botanical range and Outback Pride herbs and spices. It’s a treasure trove of some of our state’s best and most innovative products. There’s somewhere else the chefs like to shop that’s also become indispensable to Adelaide foodies, and that’s Feast! Fine Foods. This is, of course, where Richard Gunner’s own beef and lamb, grown south of Adelaide on The Coorong, is sold. But wait, there’s more. From the distinctive rose-hued Free Range Berkshire Pork to the selection of award winning artisan Newbury and Watson smallgoods made in the smokehouse at the Gunner’s facility in the Adelaide Hills, this is the jumping off point for a seriously good meal or three. Expect to be enlightened by the staff, who are used to lots of Adelaideans having their very own MasterChef moments, and can help with advice on the best cuts and cooking techniques. 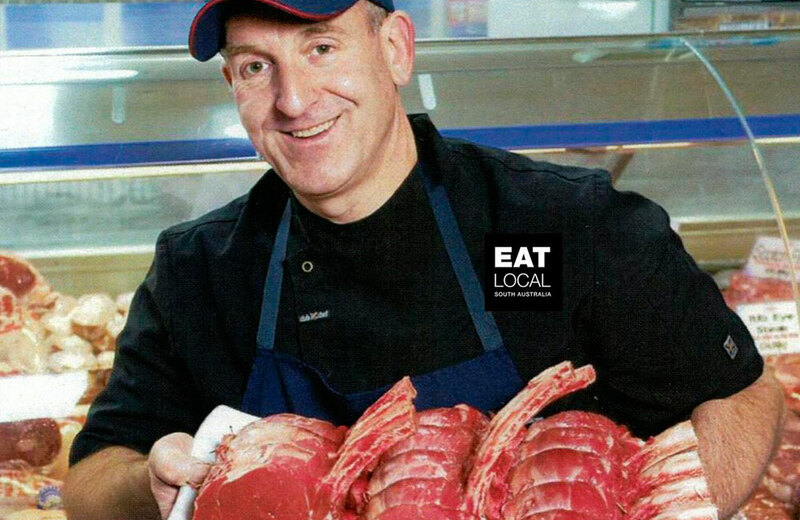 Look for Coorong Angus Beef, seasonal Pure Suffolk Lamb and the exciting Willock Park English Longhorn beef, new to Australia. And if you don’t feel like cooking, check out Feast’s award-winning pies, featuring properly chickeny Greenslade chicken or Coorong Angus Beef wrapped up in a rich, light pastry. They even have house-made bolognaise sauces and lip-smackingly good soups. Job done. When is a greengrocer not just a greengrocer? When it’s Adelaide Fresh Fruiterers at Prospect. They’ve gone the hard yards for us, collecting the crispest, most flavoursome produce of the Barossa, Fleurieu, Riverland, and the Adelaide Hills and Plains. Winter eating is made easy here. Along with the fruit and veg at their seasonal best right now, there are all sorts of local gourmet goodies to be found on the shelves here, including luscious dairy products from Alexandrina Cheese Company, Barossa Cheese Company, B.-d. Farm Paris Creek, Fleurieu Milk, Island Pure, La Vera Cheese, Tweedvale, and Woodside Cheese Wrights. Eggs galore from Clare Valley Free Range Eggs, Days Eggs and Kangaroo Island Free Range Eggs. All the yummy condiments you can scoff including Buzz Honey, Dirty Inc, Fleming and Ware, Harris Smokehouse, Little Acre Foods, Lucia’s Fine Foods, Lucy’s Foods, Melba’s Chocolates, and Ninos smallgoods. And don’t forget the glorious olive oil to drizzle including brands Bovalina, Coriole, Francesco, Joseph, and The Australian Olive Company. Dinner party shopping to do? Job done, including the flowers. If you’ve ever wandered off in a daydream about how a real butcher shop used to be – you know, with a slice of Fritz for the kids and a few jokes while the staff expertly break down a carcass to give you just the cut you want, or feed your personal choice of meat through the mincer on request – then Bruce’s Meat and Poultry Options will put a smile on your face. It’s a labour of love for these guys. Pasture-grazed beef from Kangarilla, saltbush-fed Bultarra dorper lamb from the Flinders Ranges, sow stall free pork from the Adelaide Hills and free range turkeys from Bordertown (quick, make a note for Christmas!). And for a little value-adding, along with the combined 180 years butchering experience among the staff, quite a few are also qualified commercial cooks, while the apprentices are also busy collecting accolades at national level. Watch, listen and learn from the experts in store or check out their how to video series on their website.